Movie Encounters of the Free Kind. Our most popular partnership of all is back. 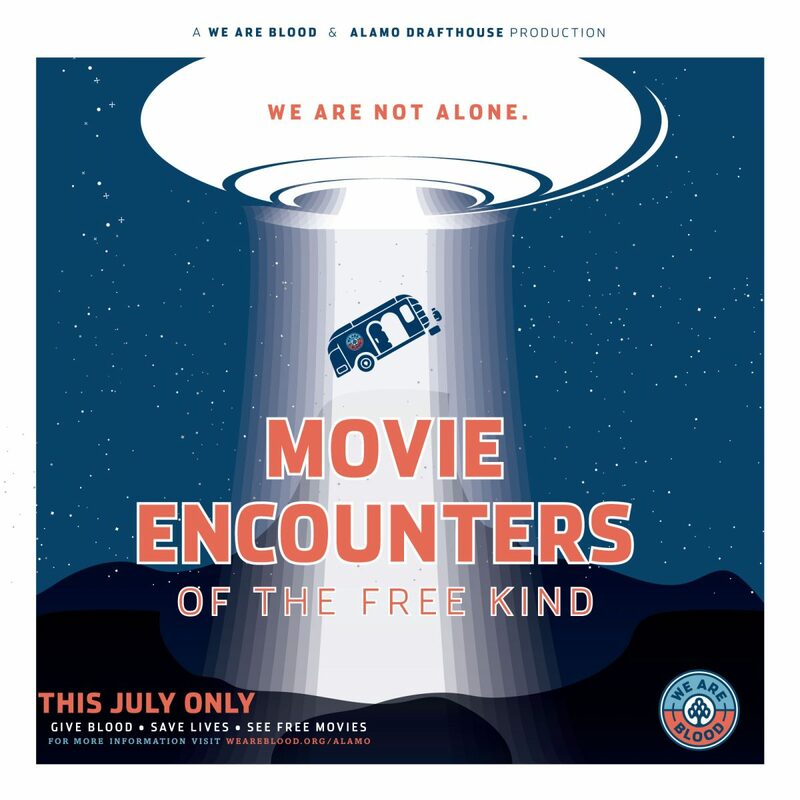 This July only, anyone who comes in to donate at a donor center or mobile drive will leave with a FREE Alamo Drafthouse movie pass. And the good news is, we’re open ALL month long, so there are plenty of opportunities for you to donate. This summer we’ve seen a rise in the need for blood at our local hospitals, and that need is outpacing the number of blood donors visiting us. So we could really use all of your help in making sure the people we care about most — family, friends, neighbors, coworkers — always have access to life-saving blood when they need it. Which is why we’re trying to make blood donation as easy, accessible, and fun as we can. Plus, I mean, we have free A/C… so how can you beat that? Ready for the action? Make an appointment today at one of our 3 donor centers or multiple mobile drives. Walk-ins are welcome too!